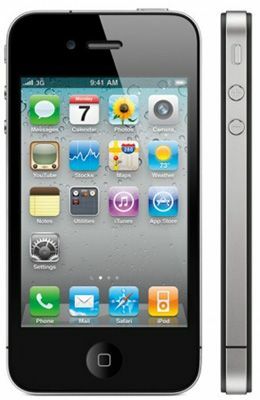 Enjoy the Apple iPhone 4s classic design and plentiful features for an economically pleasing price. You can also take advantage of all the benefits of Siri, and access to iOs apps. The screen on the iPhone 4s is one of the clearest around at 3.5\" with a resolution of 640x960, providing 330 pixels per inch (PPI). Offering a custom-lens and new 8-megapixel sensor, iPhone 4s takes excellent photos. You will also be able to record 1080p HD video with image stabilisation. Store all of your photos, videos, documents and more automatically on iCloud. Running iOS 7 with a dual core 1GHz A5 processor that was designed specifically iPhone 4s. The A5 chip offers up to 2x faster performance, so it\'s quicker at launching apps, loading pages in Safari and taking photos. And with up to 7x faster graphics, gameplay is even more amazing.